It’s been a couple of weeks now since I got my Orion StarShoot Auto Guider and used it for a couple nights observing my favorite, the DumbBell Nebula. 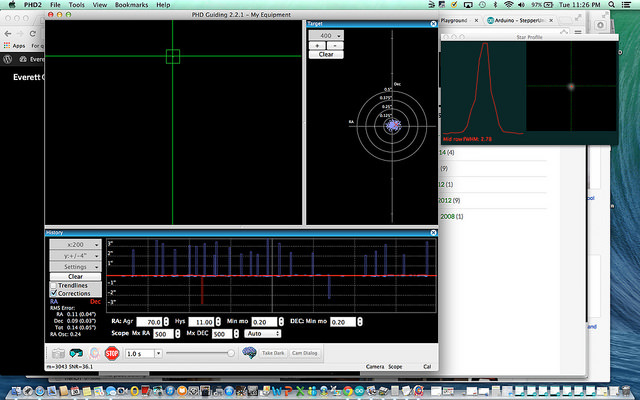 And to be honest, kind of struggled in finding the optimal values for my scope. 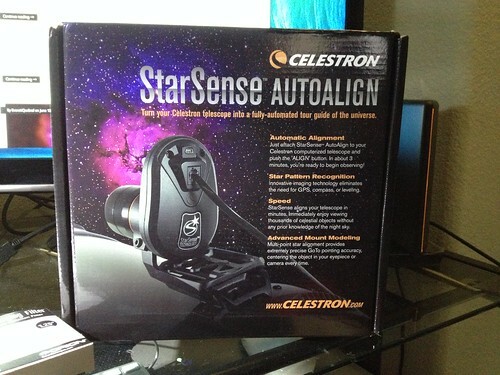 I attached it to the Celestron 50mm finderscope that came with the Celestron 11″ AVX Package. Only removed the rear lens and added the Blue Fireball T / T2 Male Thread to SCT Male & M48 (2″ Filter) Female Thread Adapter # T-07 and the fit was perfect. A couple of adjustment on the primary lens to get the focus crystal clear. 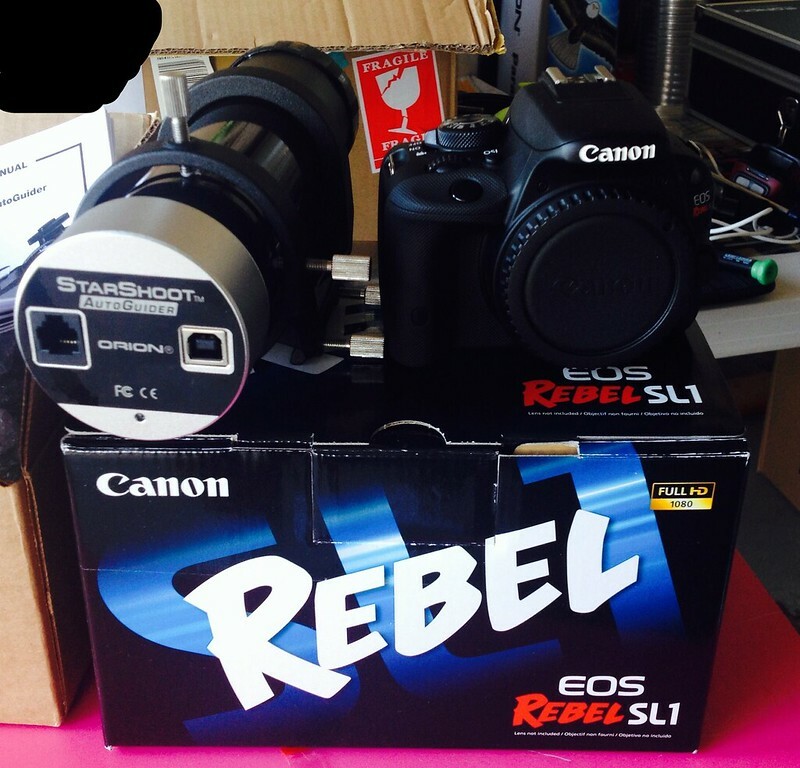 Also my Canon EOS Rebel SL1 arrived. I loved it because of it’s size and weight and also the features too. 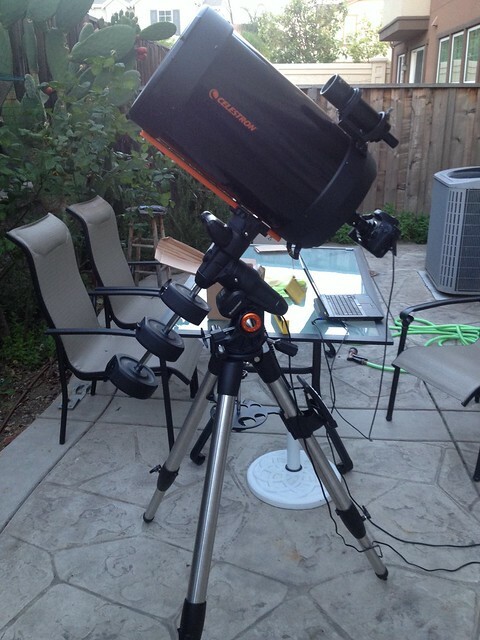 It was perfect for the my setup since the Celestron AVX Mount can only handle 30lbs of load. Making sure that I’m not overloading the mount as I know it will affect the quality of tracking. Using PHD 2 with all the values totally alien to me, I wasn’t really able to get anything but lost most of my time reviewing the parameters. I got an error about “star didn’t move enough” and with a lot of web search, I’m lucky that I’m not the only who struggled with it. 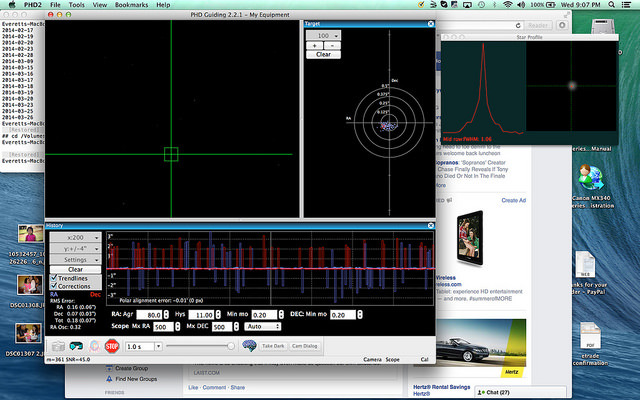 For a couple of nights, testing it, one by one getting the values right till finally I’m doing 2000 secs of exposure. The Dumbbell Nebula with stars showing the “shotgun pattern” because of the error on RA and DEC on PHD-2. 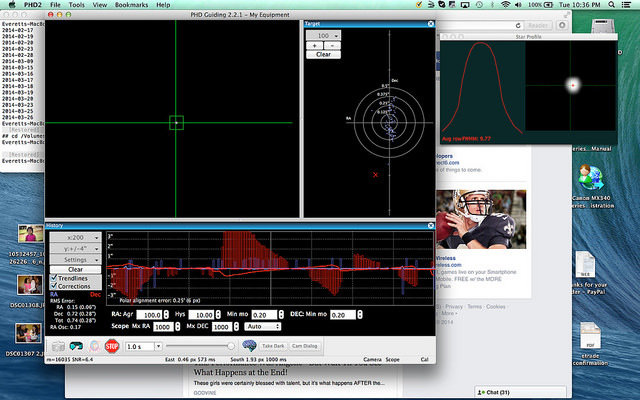 On that image, I’m getting a Polar Alignment Error of 0.25′ (6px). I thought it’s because my polar alignment is bad but ultimately it’s the combination of values and the selected guide star that make things worsts. Here’s the link to see the full size of the image above so you can see the values set Full Size Image. 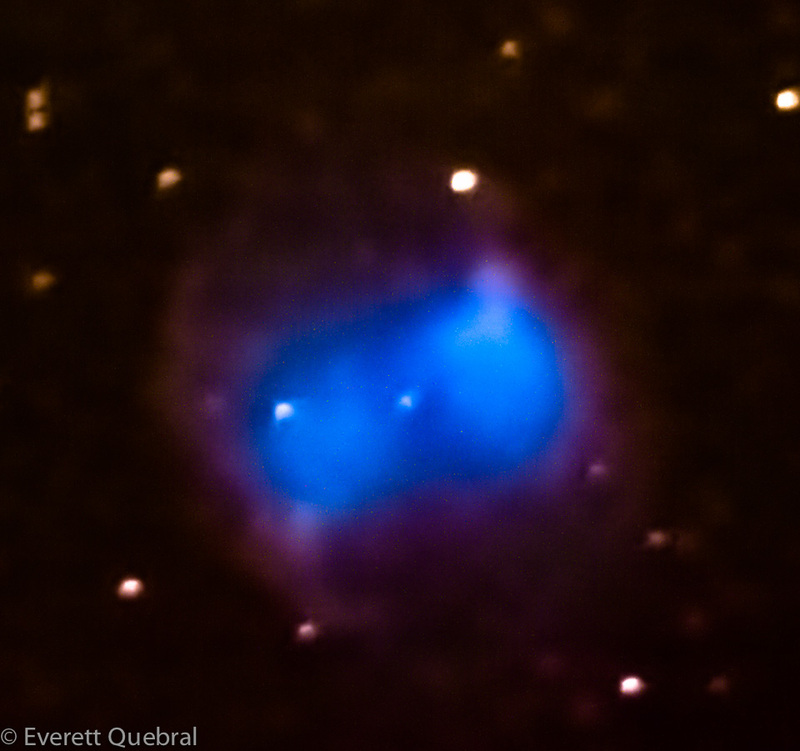 Below is a result of the PHD settings above where stars having trails. PHD2 Good Value Full Image Size. Aggresssion – default is 100%, changed to 70% since this will cause the calculation to the stars current position affect the movement of the mount resulting in a double barrel shotgun pattern. Facing a couple of problem in terms of adding an Auto Guider that will definitely improve my pictures. Instead of buying an auto guider kit, I’m thinking of building from scratch and re-using some of the things that I already have. 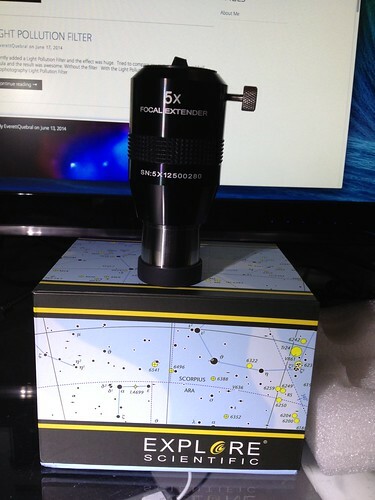 Recently I bought an old used Philips SPC 700 NC which I’m thinking of using primarily for planetary viewing, but since I’m already over the mount weight limit, I’ll just use it with my Celestron 50 x 9 Finder Scope as my Auto Guider. Unfortunately too tired to test this out but hopefully tomorrow night will be a good time to see how this perform. 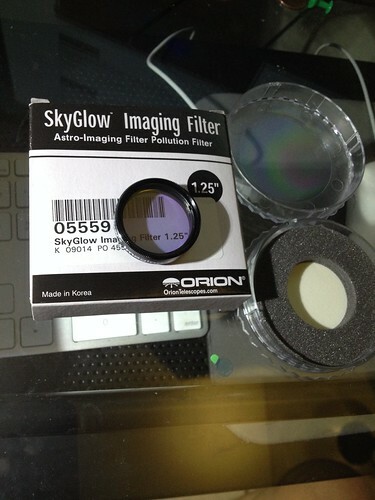 I purchased this mostly because of planetary imaging specially getting a good focus on Saturn and Jupiter. 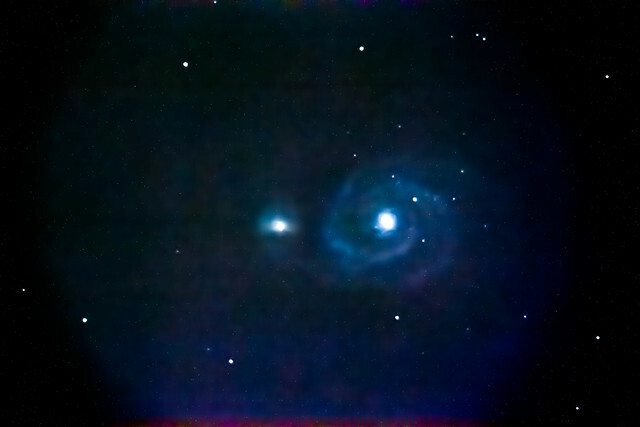 Trying to play around with all the new stuff, decided to point the telescope to the Whirlpool Galaxy. This is just a simple post processed image. Still working on the software I’m going to use to make things easier as image processing takes a lot of time and effort. Will update this post with the finished image. Recently added a Light Pollution Filter and the effect was huge. 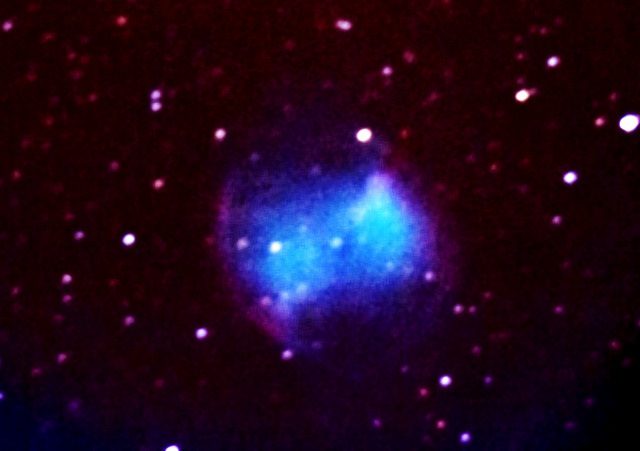 Tried to compare my pictures of the Dumbbell Nebula and the result was awesome. Looking at the stars and galaxies have always been part of me ever since I was a kid. I know that someday this passion will come true and this day it began. My telescope arrived as a kit and just to test out that everything is working properly, I decided to point it to the easiest recognizable planet which is Saturn. It was cool, and my kids enjoyed it. That was fun. Declination, Ascession motors, controllers working properly, setting up the tripod and mount was challenging as everything is heavy and needs special care. 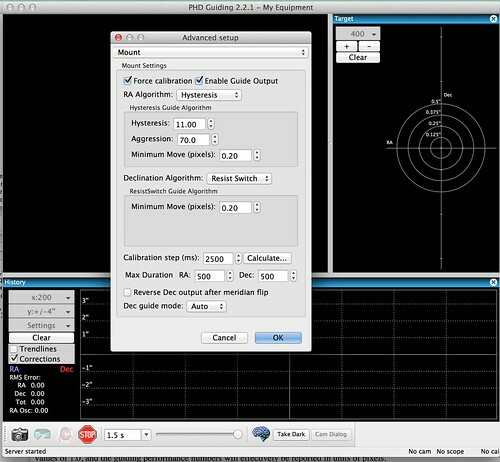 This was just a rough test since the motors should be able to track stars, galaxies and planets and haven’t tested those. Next was to setup astrophotography but that was very difficult as I’m a beginner, I have very little skills and knowledge. It took weeks for me to do my research and testing out my telescope. 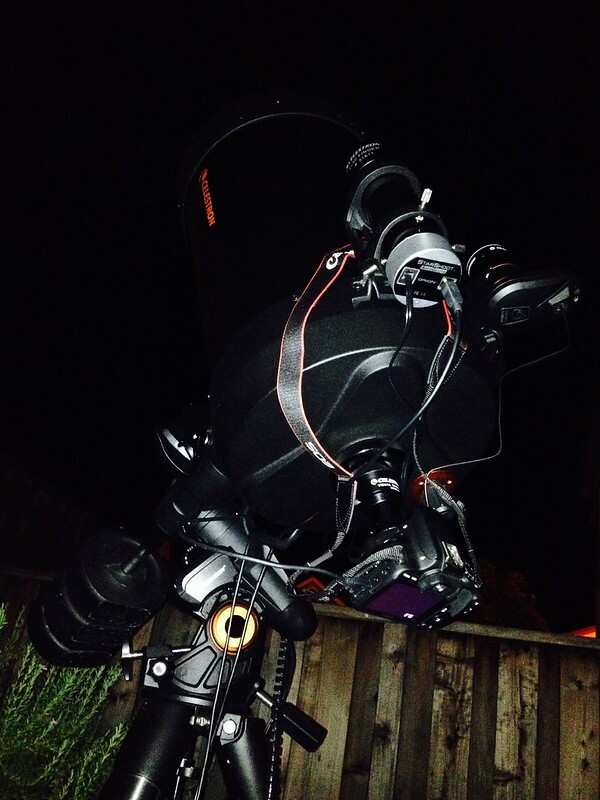 The experience was a little bit frustrating specially in finding Polaris to align the telescope. 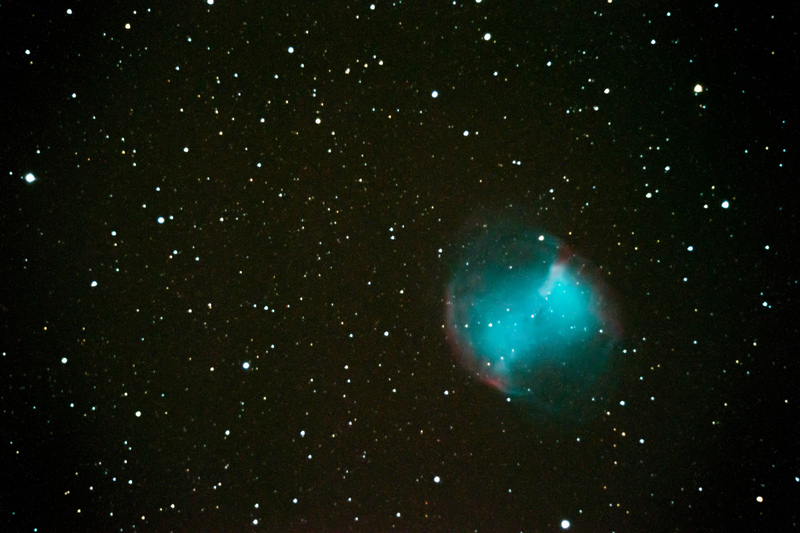 Decided to buy the Celestron Auto Star Align and made life a breeze, was finally able to do astrophotography and the Dumbbell Nebula was the first result.